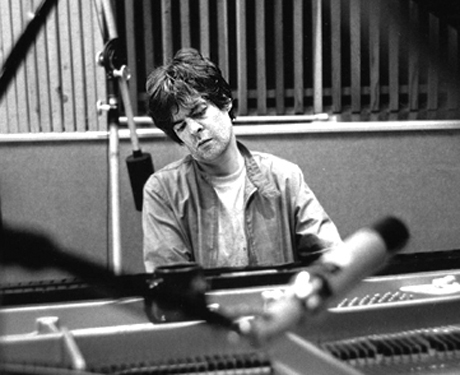 While pop fans know him for his production credits with Kanye West, Of Montreal and Spoon, Jon Brion has also established himself as one of Hollywood's most successful composers, having earned Grammy nominations for his work on Magnolia (1999) and Eternal Sunshine of the Spotless Mind (2004). Now, Brion has signed on to score another film: Miranda July's The Future. The movie is a drama about a couple in a rut who decide to change their lives when they decide to adopt a cat. The release date hasn't yet been announced, but it will mark Brion's third film score contribution in less than a year; he recently wrote the music for the Will Ferrell comedy The Other Guys, and teamed up with members of Radiohead on Stone. July previously wrote, directed and starred in the acclaimed You and Me and Everyone We Know (2005). As The Playlist points out, July has more recently performed a multimedia stage show called Things We Don't Understand and Definitely Are Not Going to Talk About (2006), which featured musical contributions from Brion. Interestingly, The Future was edited by a man named Andrew Bird, but this a British-born film editor, not the American singer-songwriter. Read a detailed synopsis of The Future over at Match Factory, and check out information about the cast and crew at IMBD. Thanks to The Playlist/TwentyFourBit for the tip.